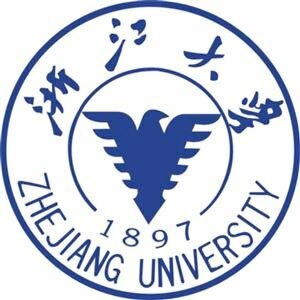 Founded in 1897, Zhejiang University is one of China's oldest and most prestigious institutions of higher education. It is a member of the C9 League, the Yangtze Delta Universities Alliance and the Association of Pacific Rim Universities. To explore new models of higher education that combines the best practices of the east and the west, learn from world's advanced educational experiences, and cultivate talents with innovative minds and international vision, Zhejiang University began to build its International Campus in February, 2013, and started to recruit students in September, 2016. There are now two joint institutes on campus: joint institute of Zhejiang University and University of Edinburgh (ZJU-UoE Institute) and joint institute of Zhejiang University and University of Illinois at Urbana Champaign (ZJU-UIUC Institute). In addition, there is the Institute of China Studies, offering Master’s degree, Philosophy-Mathematics-Economics (PME) Program offering Bachelor’s degree and Program of Innovation, Entrepreneurship and Global Leadership (PIEGL) offering master’s degree. International Campus is located in Haining, a city about 70 kilometers away from Hangzhou, covering a land area of approximately 80 hectares and has a total floor area of 399,300 square meters. Since English will be the medium of instruction on the International Campus, the Language Center is dedicated to providing a supportive language learning environment and enhancing students' English proficiency, especially communicative competence in academic settings. Through a variety of classes and activities, the Language Center also aims at cultivating students with creativity, intercultural awareness, critical thinking skills, and life-long learning ability. • Teaching a variety of classes including literature, creative writing, intercultural communication, newspaper reading, debate, art, etc. We offer a highly competitive salary & benefits package, including monthly salary, bonus, living allowance, travel allowance and basic medical insurance. The contract of employment will be held with ZJU International Campus and the appointment and conditions will be governed by the employment laws of China and the policies and practices of Zhejiang University.